Frontier, Hillsdale Co, MI, or from the Unidentified Photos below? I inherited this collection from my grandmother. Her family lived in Frontier, Woodbridge twp., Hillsdale Co. and Medina and Ransom twps., Lenawee Co, MI. Extended family lived in lower Michigan and Fulton Co., Oh area. Family surnames include: FULLERs, HOPKINS, BRAMER/BRAYMAN/BRAMAN, HATCH from Washington, Cayuga, and Steuben and Sodus, Wayne County, NY to MI. Others, SARGENT, CARY, BENSON, COLLINS, are from Rutland, Vermont and Onondaga Co., NY to MI. Markings, if any, are noted above the photos. Mimi Malcolm contributed Man23-25, Woman 21-25 and Group 32. Rose Sargent contributed Group 31. The "Wright Women" belongs to Carol Herrick. 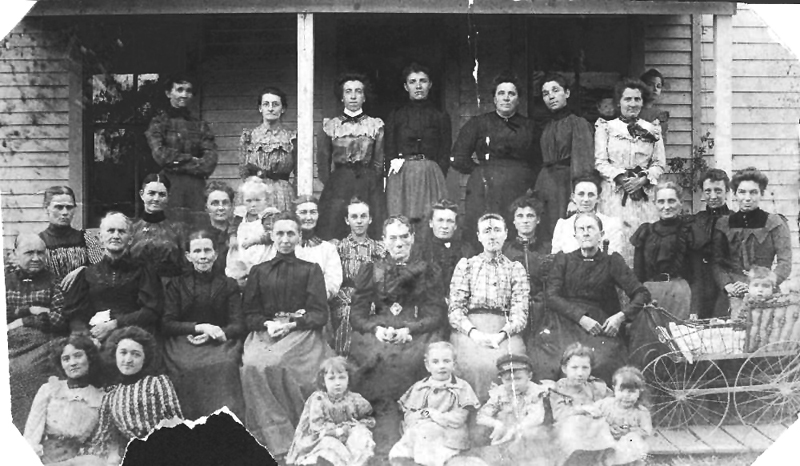 There are 23 women and 13 children in this photo, probably taken in Hillsdale Co., Michigan. She has identified 6 individuals...names, WRIGHT, BOWDITCH, PIERCE, RANDALL, BURGER and CLARK. The family of Violet Verdeen (Hatch) Howard has shared two of her photo albums with us. Violet was born in Woodbridge township, Hillsdale Co., Michigan, in 1898. She lived her life in the southern Michigan area, collecting photos of family and friends. 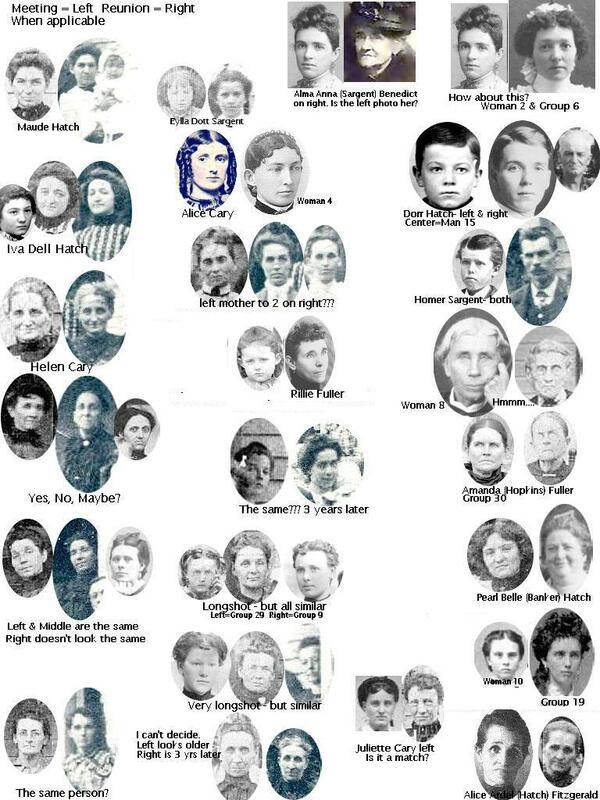 Identified family photos can be seen via links on the Hatch page, however, some are yet unidentified. The Unidentified persons, in Violet (Hatch) Howard's album, can be seen by clicking HERE. If you recognize anyone, please let me know! Or Pick From List Below.